This boat is of an interesting design, and it appears to have pivot posts for multiple rowers. 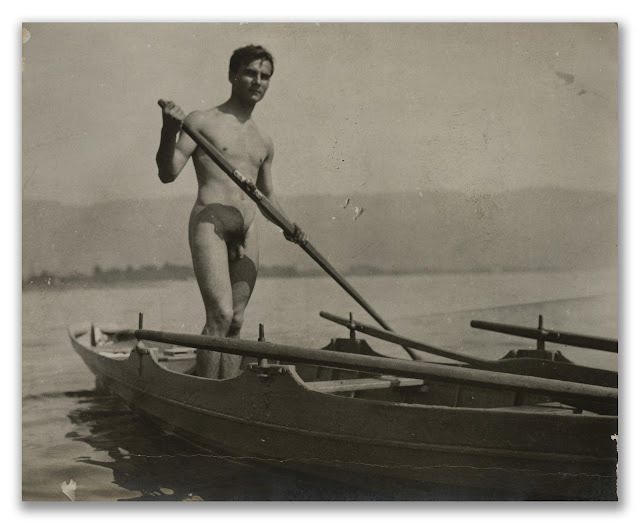 Could be a rowing competition boat, but the young man is either poling or using a detached side paddle. Maybe the photographer staged it this way to show off the model's body?